Residents from Harare’s Mabvuku suburb who depend on the Kamunhu Shopping Centre borehole were left without water for four days after the borehole was allegedly poisoned. The incident was discovered in the early hours of Sunday on the 13th of January by residents who had gone to fetch water. A strong smell was coming from the borehole and the water was coming out with reddish particles which they could not identify. This prompted the residents to desist from using the borehole until the smell subsided. 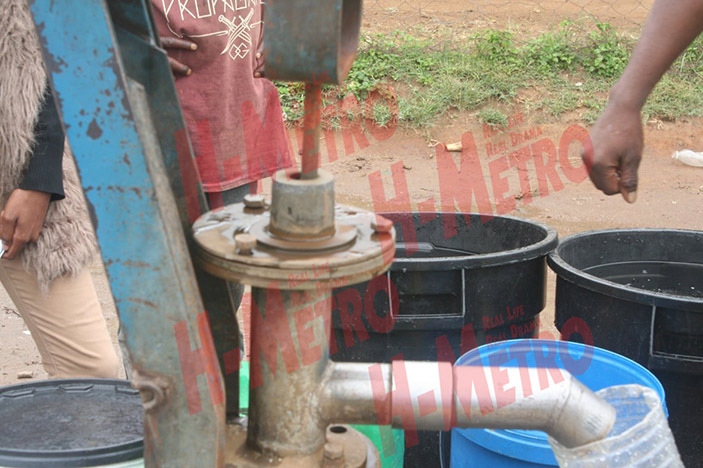 Residents who spoke to H-Metro expressed concern over the incident as they depend on community boreholes for water since they have gone for years without tap water. “I was coming to fetch water when I was told the borehole had been poisoned by people who had come to fetch water before me. “The water was extraordinarily white with a strong smell like that of Paraquat. “It was also foaming like someone had put in washing powder in it,” said one resident who preferred anonymity. Combined Harare Residents Association (CHRA), Reuben Akili confirmed the reports and indicated they had engaged with Environmental Management Agency (EMA) to investigate on the matter. “We have spoken to Environmental Management Agency and they are in the process of taking samples to ascertain the substance,” said Akili. “Relevant authorities should put in place measures to ensure that community boreholes are protected since many lives depend on then like in our case we have residents, car wash operators and people who sell water. “We were fortunate that no one was reported sick since people immediately stopped using the borehole upon realising there was something wrong with the water,” he added. When contacted for comment, city of Harare said they were yet to receive the report. The residents said the water was poisoned during the night. “I think the water was poisoned during the night because it was only discovered in the morning that something had happened to our water. “People had to resort to other boreholes to get water for domestic use and this one was only being used by car wash operators,” said another resident. 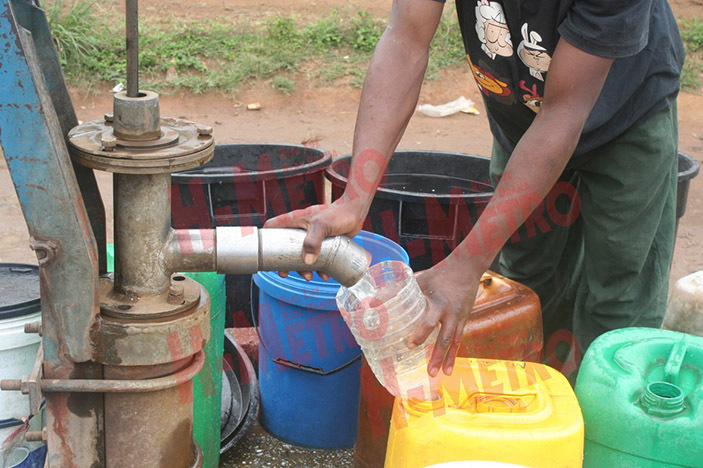 The residents have resumed their use of the borehole regardless of possible health scares from the alleged poisonous substance as other alternatives are getting overwhelmed with some residents fighting in the queues for water. “The boreholes which are functional were getting overwhelmed so we just decided to continue fetching water from here since the smell was getting better. “People were now fighting in the queues because many were depending on the few functional ones. “Now the water seems to be clean and no one has been reported sick,” said Taurai Ngwenya who was fetching water at the borehole.